Myrna I. Lozada-Guzmán is a Limited Member at the Corporate and Banking Law Department. 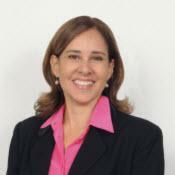 Ms. Lozada has extensive experience in designing corporate structures for new businesses in Puerto Rico. Her practice includes corporate governance and restructuring of local and foreign profit and not for profit entities. Her corporate practice includes business contracts, structuring financial entities, including foreign financial institutions, banks, financial intermediaries, brokerage firms, venture capital funds, and insurance companies. She has served as local counsel for international clients in structuring and negotiating private and government bids and contracts, public private partnerships, construction contracts and government related transactions. Ms. Lozada renders advocacy services with the Puerto Rico Legislature and has successfully assisted clients in drafting, promoting and repealing legislation. From 1999 to 2009 Ms. Lozada served as Vice President and Financial Advisor at the Government Development Bank for Puerto Rico (GDB) where she was Director of the Privatization Department. From 1995 to 1999 Ms. Lozada served as Director of the Venture Capital Program at the Puerto Rico Industrial Development Company (PRIDCO), where she also served as Interim General Counsel in 1995. From 1995-2010 Ms. Lozada was Adjunct Professor at the University of Puerto Rico School of Law, where she offered a course on Advanced Contracts/Technology Transfer. Ms. Lozada has served as President of the Puerto Rico Chamber of Commerce, Public Private Partnership Committee (2011-2013). She has served as a member of the Board of Director of several profit and not profit entities.